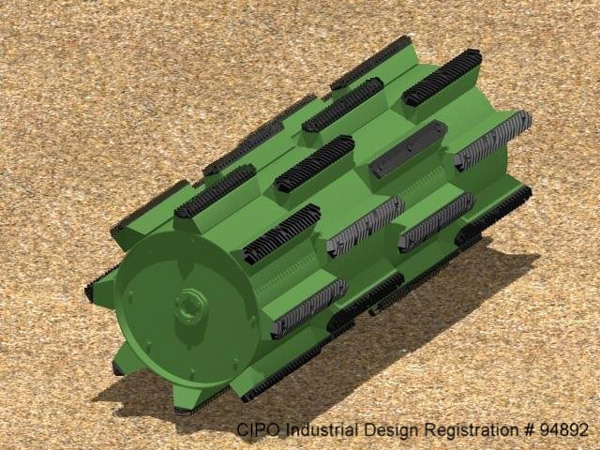 (SWN) - We build the Generation 2 Enclosed Cylinder. 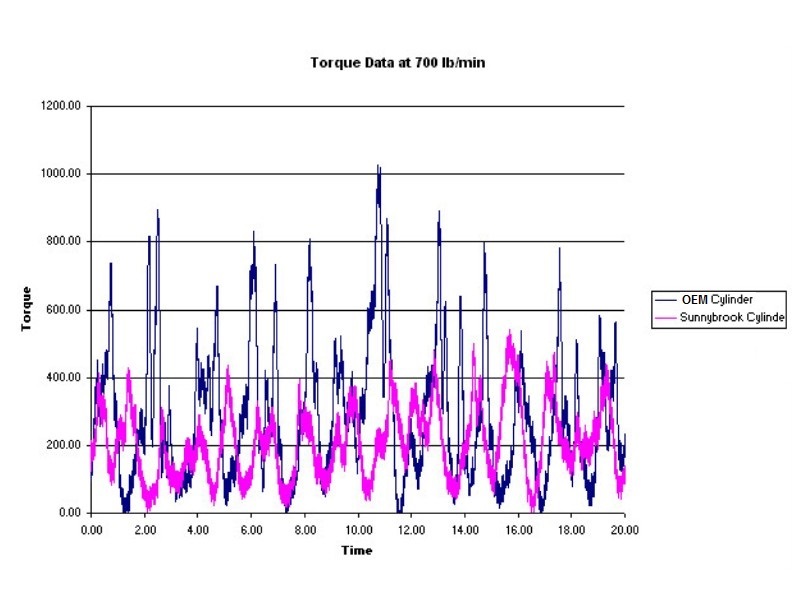 15% less input torque may be attributable to the "Gear Pump" design, aggressive rasp bar profile or the extremely hard/low friction boronized treatment. Mass helps. It's all about HP Hours per Gallon. With a few thousand of these Gen 2's now in service, we figure about 2,400,000 gallons of diesel hasn't been adding to our customer's carbon footprint. That doesn't make news though. Want to play Ag Engineer ? Click here to download more test data. See the blue peaks on the graph? Wonder why the Gen 2 is easier on belts and shafts? Newton said "for every action there's an equal but opposite one". At the same rotor/concave clearance our PAMI test showed about 40% less weight down on the concave. A 600 lb cylinder spins weight neutral when you harvest..smooth and never out of balance being enclosed. John Deere Conventionals-New Holland TX/CX-Claas Lexion-Massey-Gleaner are all in stock.